Excellent for Diaper Pails! 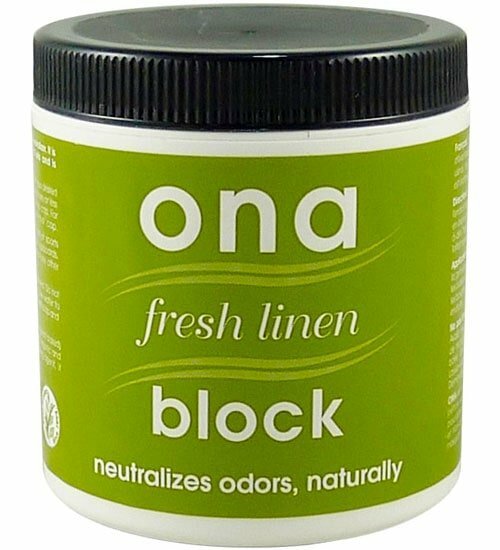 ONA Block is a semi-solid odor neutralizing agent that slowly releases to eliminate any airborne smells. Made from a complex formula, it uses essential oil technology to destroy a wide spectrum of organic and non-organic odors. Not a masking agent; it neutralizes odor. Size: 6 oz. container (3″ x 3″ – fits almost anywhere). Fresh Linen (shown): A mild scent reminiscent of freshly laundered clothes. PRO: Has virtually NO fragrance but is very powerful. It has a light scent in its container but leaves the air merely smelling fresh — like after a summer rain. Remove the ONA Block from the container and place in areas where odors lurk. 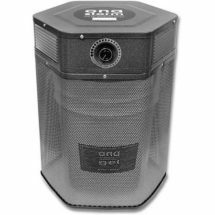 Works up to 30 days depending on airflow and ambient temperatures. To reduce the strength of the block, poke holes in the cover and replace on the container. This will also prolong the life. A 225 CFM dispenser that’s very effective for large areas — up to 10,000 square feet. Made of essential oils and food grade additives to get rid of most foul aromas. 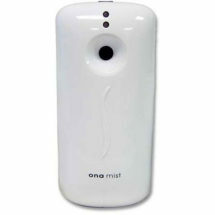 Designed to be used with ONA Mist and most standard 6 ounce aerosol cans. 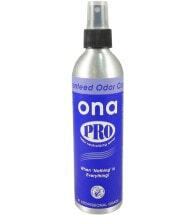 Available in several sizes, ONA Gel is non-toxic, effective and very easy-to-use.